Finally, a use for all those lost socks! Think beyond the classic sock monkey and turn old stray socks into cute and creative afternoon crafts that the kids will love. Every family has a growing pile of socks that either the kids have outgrown or that are missing their mate. Rather than throw them away, pull some inspiration from these 10 fabulous sock craft ideas and transform leftover socks into something fun. It’s time to put that collection of mismatched socks to good use. 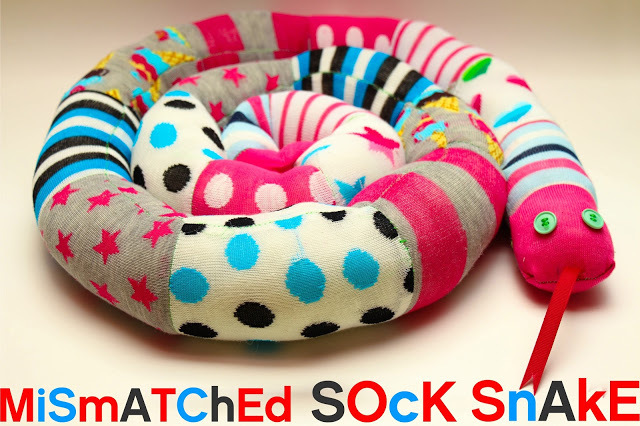 Grosgrain shows you step-by-step how to put those socks together to form an adorable stuffed snake for kids. 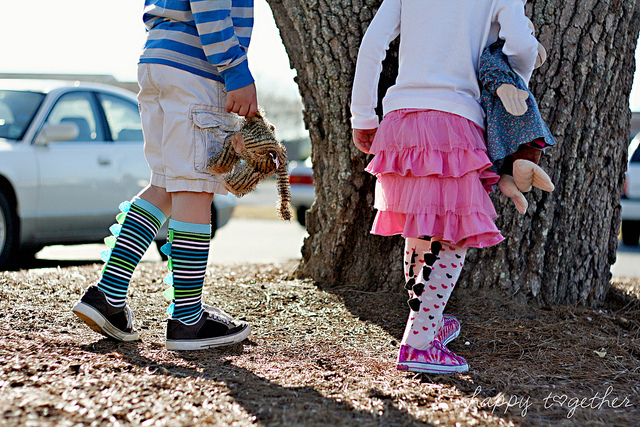 Transform ordinary socks into dress up fun that can be worn anywhere. A little bit of felt sewn to some knee-high socks will give your kids a fun and creative way to show off their style. Head on over to Happy Together to check out the tutorial. 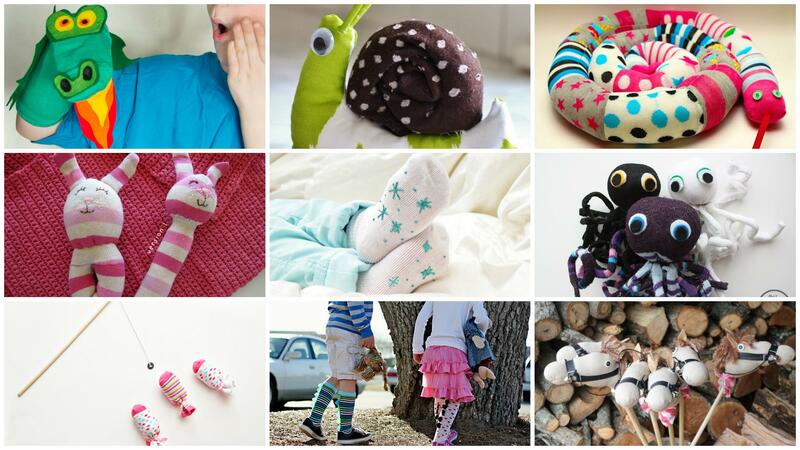 This clever sock craft is sure to deliver hours of fun. 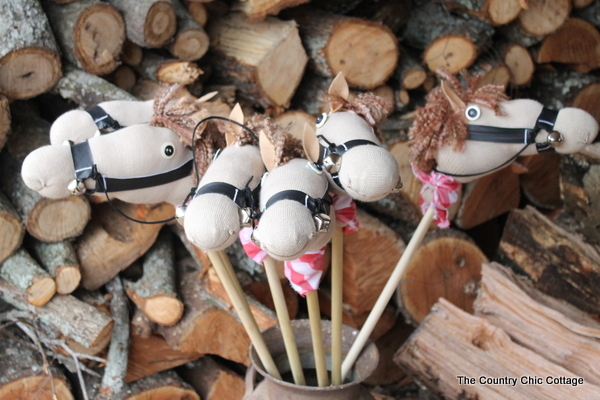 The Country Chic Cottage shares step-by-step directions for how to create your own ride-on stick horse out of an old sock, a wooden dowel and a few other supplies. 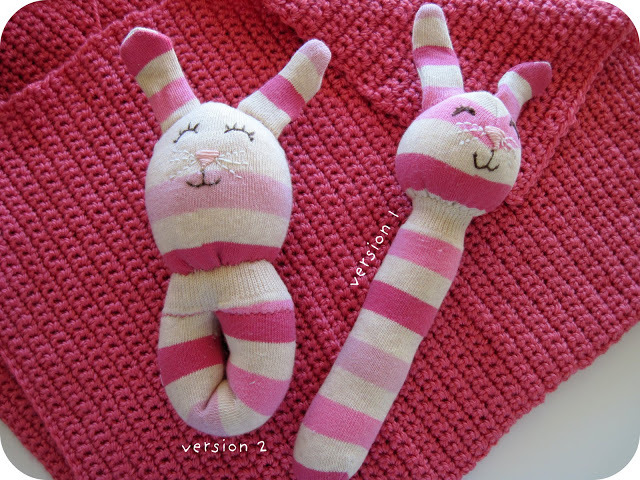 For the younger crowd, this DIY sock bunny rattle from Homemade by Jill could not be cuter. It’s the perfect soft and squishy toy to make for your baby, and the hand-embroidered face adds an extra touch of adorable. 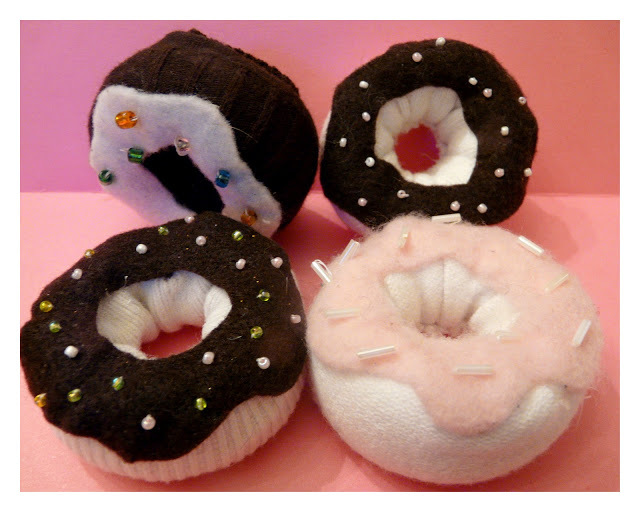 Every kid loves play food, but these DIY sock donuts take the fun to a whole new level. Old socks are easily transformed into sweet treats with this simple tutorial from Rook No. 17. Put an end to dangerous slipping and sliding across hard floors. With these simple instructions from AllParenting, plain, slippery socks can be made safer (and cuter!) with a little bit of puffy paint. 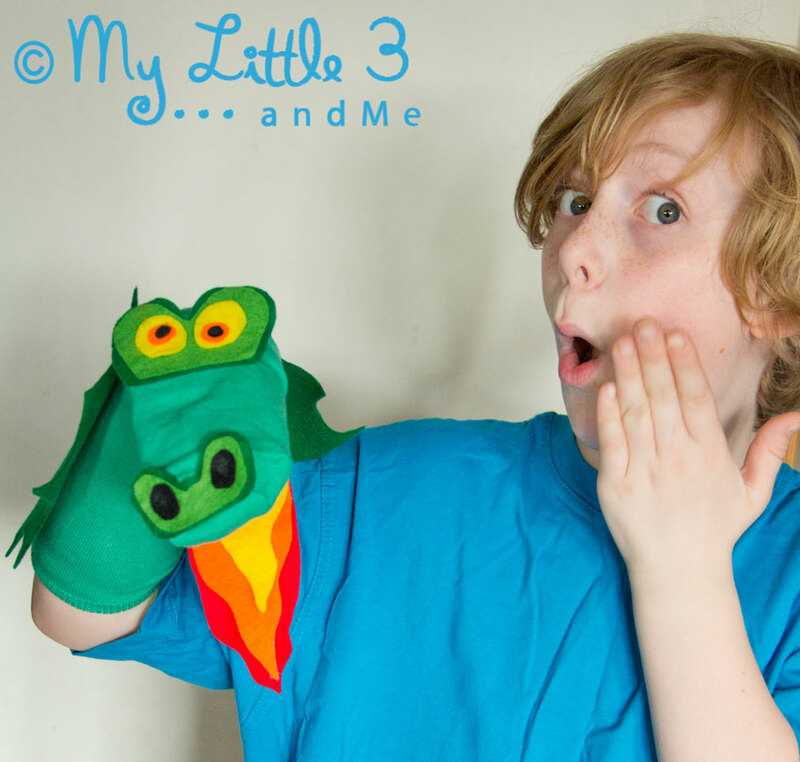 A sock, some felt and a little bit of glue is all that you will need to make this fire-breathing dragon puppet that’s filled with personality. My Little 3 and Me gives you complete step-by-step instructions along with a printable template so that you can make your own. Cute and colorful baby socks can easily be turned into a fun magnetic fishing game for the kids. 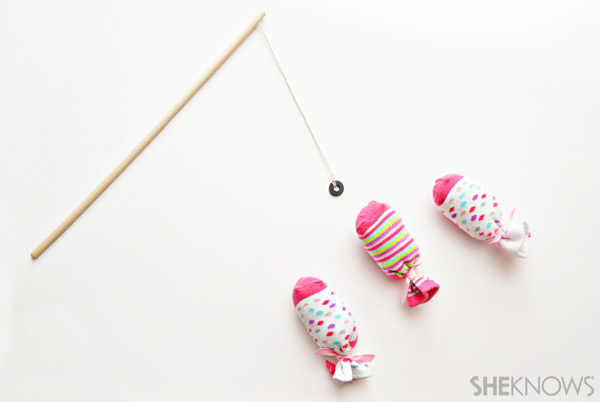 Check out the SheKnows magnet sock fishing tutorial to get started making your own. 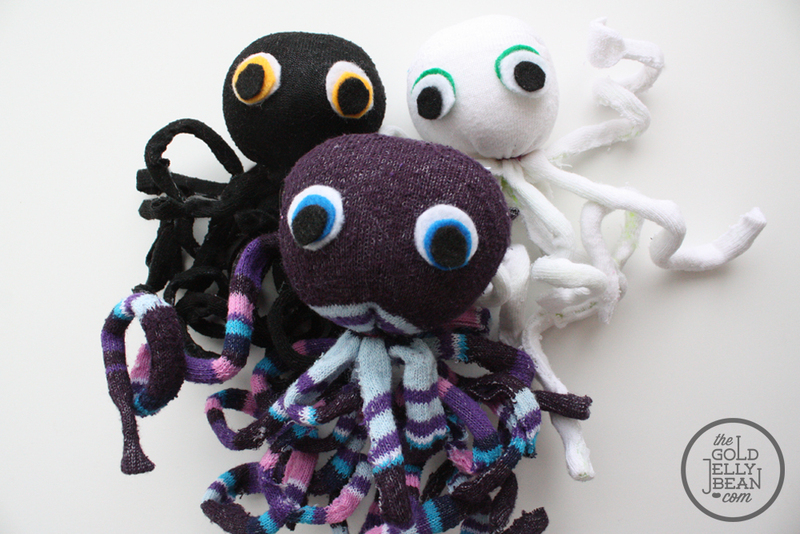 If you would love to make some sock stuffed animals but are intimidated by sewing, then this sock octopus tutorial is perfect for you. The Gold Jelly Bean shows you how to make these fun stuffed sock creatures — no fancy sewing skills required. 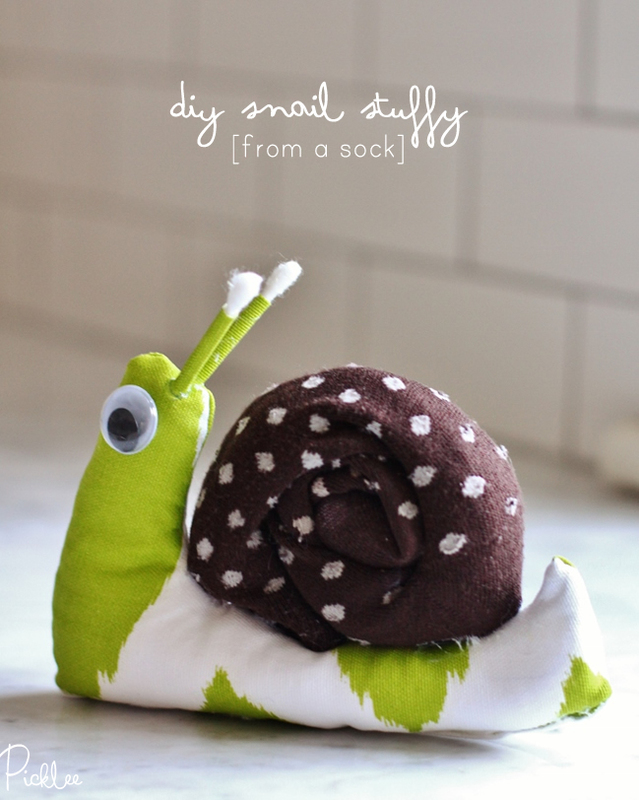 Jordan from Picklee has a tutorial to show you how to make this sweet sock snail come to life. This easy-to-make stuffed animal is going to be a welcome addition to any child’s toy collection.